The findings were recently published in a Foreign Affairs piece led by Veerabhadran Ramanathan, professor of climate and atmospheric sciences at Scripps Institution of Oceanography, and co-authored with David Victor, a professor of political science at UC San Diego's School of Global Policy and Strategy (GPS) and director of the Laboratory on International Law and Regulation. They collaborated with Pontifical Academy of Sciences and Social Sciences members Msgr. Marcelo Sanchez Sorondo, Partha Dasgupta, and Joachim von Braun. "Massive fires in Sonoma and Napa, the richest wine-growing areas in the United States, may have a larger political impact than distant crises—just as heat waves in Japan and super-fires in Europe are having a political impact there," the authors noted. Today, scientists can also more clearly convey the rising risk of extreme events that will have major consequences for human welfare. For example, researchers forecast that beyond 2050, as much as 44 percent of the planet's land areas will be exposed to drying. This will lead to severe drought conditions throughout southern Europe, North America, much of southeast Asia, and most of the Amazon—affecting about 1.4 billion people. There is also a heightened risk of more extreme rainfall which will expose an additional two billion people to floods. "Beyond 2050, there is a 50-percent probability that about half of the world's population will be subject to mean temperatures in the summer that are hotter than the hottest summer on record unless the world takes immediate and large-scale action," the authors wrote. 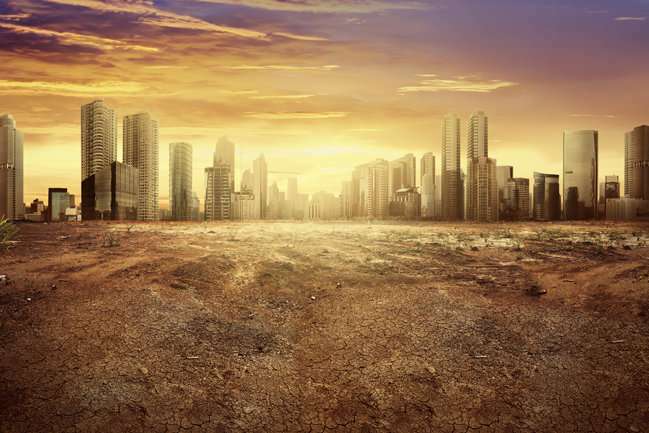 "In the most highly populated regions of the world, by the end of the century, there are 10- to 30-percent chances of heat waves greater than 130 degrees Fahrenheit." They added that heat and droughts threaten regions that produce much of the world's food. Food prices are expected to rise 23 percent by 2030, making food markets more volatile, and under heat stress, the nutritious content of food crops is declining. "Extreme weather disasters also have negative impacts on mental health. When heat is over 130 degrees, whole societies can come unglued," the authors wrote. Victor and Ramanathan urge, however, that there's still time to act and the scientific community can lead the effort: "To communicate these new findings, scientists also need to think about how they influence society, in particular, they should build new partnerships with groups that shape how societies frame justice and morality, including religious institutions." "In particular, even when they do not share the same notion of God, faith leaders should act both together and separately in their own communities to preserve human dignity and our common home." They added, "the silver lining in all of this, if there is one, is that a recognition of the nasty and brutish new normal may yet mobilize the political support needed to make a dent in global emissions."